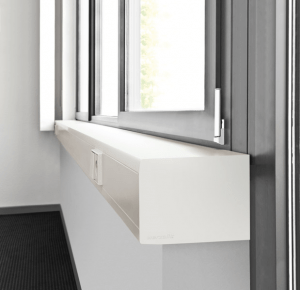 Why Should You Use Marble Windowsills for Commercial Construction? Commercial builds usually undergo an extreme amount of traffic. In most cases, the things that get the most attention are the floors, bathrooms, hallways, and entryways—the areas that many people will walk on. With commercial builds, that typically means anything that’s not in storage! Whether it’s an office building, warehouse, shopping mall, or hotel, whatever type of material you can incorporate in your build that will ensure the longevity of your masterpiece is highly recommended. When it comes to constructing any kind of building, the best quality of materials ought to be used. However, it can be argued that there’s a difference between standard quality and high end. You can go to your local hardware store and get quality window sills. However, one’s definition of “quality” may vary. Aluminum, fiberglass, wood, and vinyl are all considered by most builders good quality—good enough for almost any build actually, but if you’re looking to make a lasting impression, get more business, and win more bids, you’ll need to build a property that people will actually talk about. Incorporating a high-end building material like marble window sills into a dwelling will not only ensures longevity, but it will also spark interest for future buyers. The construction business is expensive, and getting a high ROI is key to any business success. To ensure that you’re getting a high ROI means buying low and selling high. Contractors can’t do this if they’re buying expensive material. However, when you’re contracted for commercial builds, incorporating marble window sills into your build is the very least you should do, because there are more potential clients who will see and admire a commercial build quicker than they would a residential home or even a warehouse. Commerical builds are a structural advertising tool for your contracting business. They usually stand in a highly populated area—typically a business district. They take on legendary names like the Empire State Building located in New York, The Willis Tower, formerly known as the Sears Tower in Chicago. Miami is riddle with skyscrapers, creating a majestic skyline, and they’re continually being built! The Panorama Tower, Southeast Financial Center, the Wells Fargo Center, formerly known as the Met 2 Financial Center, Marquis, and more are all quite memorable. And if a developer happens to be interested in building yet another skyscraper to the Miami skyline, chances are they might look into who built the existing ones to either keep in uniform with the city vibe, or perhaps add something to their building that will bring more life to the city. You might be asking yourself how does marble window sills play into all of this? It’s quite simple. It’s all about the details. You can build two identical skyscrapers and stand them right next to each other, but if you install Black Granite window sills around your commercial windows that have a back drop of White Carrara marble, verses an Emperador Brown window sill with a Crema Sahara Marfil backdrop, you will set a different kind of tone to both buildings. The Emperador Brown with the Crema Sahara Marfil pairing has similar tones. While they both are exquisite, the overall tone will have a more blended and neutral atmosphere—something that most buyers are looking for, because it’s great for resell value. The Black Granite and White Carrara pairing also marry well together, but the predominately white backdrop offers a more sterile kind of space. However, the Black Granite window sills bring a strong type of warmth and dominance to the space, evening it out to be more elegant. While both buildings brings about and exquisite elegance, it’s the details that separate one from the other. The same can be said with incorporating an inferior type of window sill into a build verses any kind of marble window sill. Should a third skyscraper rise and its windows are laced with aluminum, it will certainly be seen as inferior. Again, it’s all about the details. So why not stock your next window sill inventory with Stonexchange marble window sills? Based in Miami, Florida, we are equipped to ship your bulk of quality marble and Travertine window sills directly to your warehouse, or if necessary, to your construction site. What Kind of Marble Window Sills are Available? Stonexchange provides six different kinds of marble sills and one in Travertine. No matter what kind of marble flooring you already have in stock, Stonexchange’s selection of natural stone window sills will complement them. Choose from Black Granite, Emperador Brown, Crema Sahara Marfil, White Thazoz, Bardiglio Gray, and White Cararra. Our Travertine window sills come in one neutral color that appeals to most buyers. Its matte finishing is perfect for wet areas like the bathroom, pool house, laundry room, and even basements. Need a Custom Marble Window Sill? Our company stocks all of our natural stone window sills in the standard sizes. However, we do manufacture specialty sizes if needed. If this is the case, your sill will have to be special ordered. All of our sills are mined at our quarry overseas. This can take some additional lead time to deliver as it will have to be shipped by boat, and this can also take a few weeks. So, if you’re embarking on a specially designed commercial build, contact a Stonexchange representative as soon as you can to ensure that your inventory is delivered to you in plenty of time for your next build. Contact Stonexchange today to learn about possible discounts with your bulk purchase. Call us at 305-731-2400 or use our online contact form. We look forward to hearing from you soon!